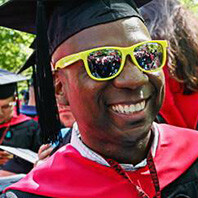 Steppingstone Scholars graduate from top colleges and universities across the country. Alumni have earned degrees from over 130 prestigious universities nationwide, and the list of alma maters grows each year. Steppingstone’s accomplished, well-rounded alumni are making a positive difference in their communities and in their professions. College success is only the beginning. Steppingstone Alumni go on to great things. The rigor and hard work that alumni dedicate themselves to as young Scholars become habits that lead to a lifetime of achievement. We know, because Steppingstone alumni make a point of coming back to tell us. We consider their good news one of our most lasting rewards of our work. A ten-year-old begins a journey that often lasts a lifetime. 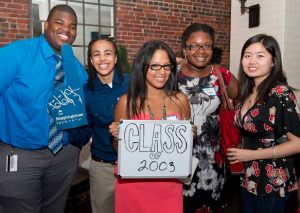 Scholars from as far back as our founding class remain part of the Steppingstone community. 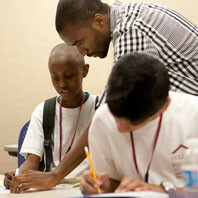 Alumni serve as mentors, volunteers and council members. They gather for reunions and networking and career events. They continue to receive and also give back. 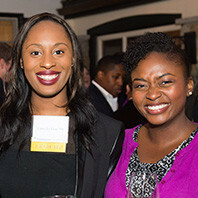 Once Scholars graduate from college, they become Alumni and join a network of more than 800 young professionals who have similarly benefited from the academic rigors and sustained support that Steppingstone offered them. 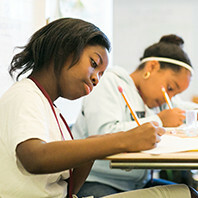 They may travel far from the places where they began as 10-year-olds, but they never leave the Steppingstone community. 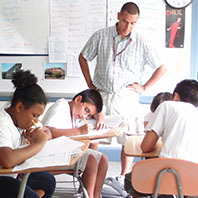 The relationships forged–with teachers, Advisors, and other Scholars–last a lifetime. 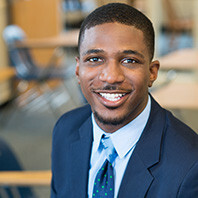 And many Alumni find ways to give back and stay connected, to each other as well as to the organization that set them on the path to college success. 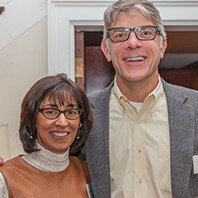 They serve as mentors, volunteers, donors, and ambassadors for Steppingstone. They’re living proof that what we do changes lives, changes opportunities, changes communities. For generations. For more information on what individual Alumni are doing, check out our Alumni Profiles and Alumni News pages. If you’re an Alum looking to get involved, please contact Lee Englert at 617-423-6300 ext. 226 or lenglert@tsf.org.